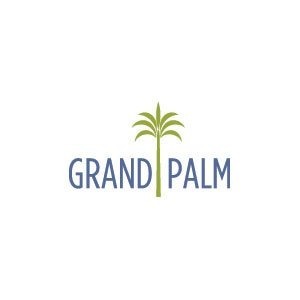 This all-new, move-in ready Meadow Brook home at Grand Palm offers an open layout for everyday living. The beautiful gourmet kitchen features designer upgrades like espresso cabinets and quartz counter tops, a center island, brand new natural gas stainless steel appliances, corner walk-in pantry, decorative tile backsplash and a dining nook. A large covered lanai, reached through sliding glass doors in the great room, features a gas stub for a BBQ grill and overlooks a mature-tree conservation area. A guest bath sits just off the lanai. The home also includes a den or home office with elegant dark wood flooring and glass French door entry. The master suite features dual walk-in closets and master bath with two sinks, a large walk-in shower and private water closet. One of the two secondary bedrooms includes a walk-in closet. There is ceramic tile flooring throughout main living area and luxurious carpet in bedrooms. The home includes decorative touches like recessed lighting, coffered ceilings and crown molding. This wonderful home is located in award-winning Grand Palm of Venice, known for it's nature trails, private island, resort-style swimming pools, fitness center and plenty of family-friendly activities. Find out more about this Neal Communities home. Call to learn more and come by to tour the model homes.